The Women's World Twenty20 begins on Wednesday, with hosts Sri Lanka facing South Africa in the opening game. All the women's group matches are being played in Galle, with the semi-finals and final in Colombo. Australia are the defending champions after beating New Zealand in the 2010 final in Barbados. England, the 2009 winners, open against Pakistan on Thursday and will be keen to banish memories of 2010, when they failed to reach the semi-finals. Although the women's game sometimes struggles for media attention, all three World Twenty20 tournaments have benefited from being played in parallel with the men's competition, with the semi-finals and final played on the same days and at the same ground as the men's. Sri Lanka are not among the favourites for the title, but vice-captain Sandamali Dolawatta hopes the hosts can generate more backing from the locals if they get off to a winning start in Galle. "We need to win matches for the fans to support us," she told the BBC Sinhala Service. "It is because Sri Lanka [men] won the World Cup in 1996 that Sri Lanka became a cricket-mad country. "This time we have the advantage of home conditions, so if we perform well, fans will support us. "Our first aim is to qualify for the semi-finals as the matches will be played in Colombo, just ahead of the men's semi-finals, so I think it will be the first time we play in front of such a big crowd." The difference between the International Cricket Council's prize money and daily living allowances for women and men have also made headlines, but England skipper Charlotte Edwards insists that, although the ICC should look at the situation after the tournament, her squad's focus is on the cricket. "It's not about the money for us. If we played for money we would be playing different sports," she told BBC Sport. All 14 of Sri Lanka's female players serve in the country's army, navy or air force, and captain Shashikala Siriwardene feels they have benefited from that link-up. "Those three services are doing a great job for us because they have allowed us to play full-time cricket," she told the BBC Sinhala Service. "Although we are contracted by Sri Lanka Cricket, our financial situation was not that secure, [but now] what the girls have done is secure their future financial situation, especially keeping in mind the fact that we will have to retire from the game sooner or later." South Africa have but captain Mignon du Preez said: "We are the underdogs, so we don't have anything to lose and we can go out there and have some fun. "For Sri Lanka, it's their home ground so they're under a lot more pressure because they have to perform in front of their home audience." 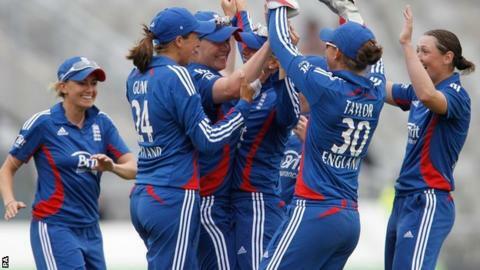 BBC Test Match Special will have ball-by-ball commentary on the semi-finals and final of the Women's World Twenty20, with regular news of the group stages.